Check out this Corner Garden Summer House. 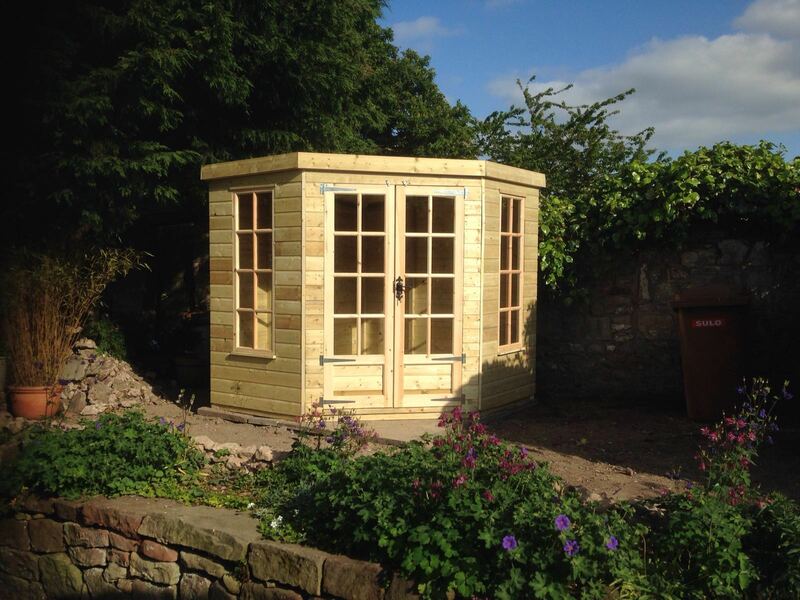 We can design and manufacture a range of Summer Houses in all shapes and sizes. This was designed to fit in a corner space to maximise the garden space. A Summer house can provide a great outdoor space for entertaining, or just chilling out in your garden. They can provide useful shade on hot summer days as well as cosy spaces to warm up in on cold autumn evenings. They can also be used in the winter for perfect garden storage. You can store and protect your garden items such as garden furniture over the cold winter months. Looking for something different? See our full range of Garden Summer Houses by clicking here.